These reviews of Slapstick Divas: the women of Silent Comedy by Steve Massa and Specters of Slapstick & Silent Film Comediennes by Maggie Hennefeld first appeared in the June 2017 and July 2018 issues of Sight & Sound, respectively. I am reposting them here ahead of a slew of events celebrating silent cinema comediennes coming up soon. In the silent era, as now, film comedy looks a lot like a boys’ club – and that disparity is more deeply entrenched in the arena of physical humour. For those who would like to see Marie Dressler and Marion Davies, let alone Flora Finch and Anita Garvin, as celebrated as their male peers, Steve Massa’s Slapstick Divas: the Women of Silent Comedy, will be a welcome resource. A followup to Massa’s survey of lesser-known male silent comedians, Lame Brains and Lunatics, Slapstick Divas tells an engrossing tale of female performers beating a path in the silent film industry. The consensus view on Clyde Bruckman was summed up by Tom Dardis, biographer of Harold Lloyd and Buster Keaton: “he was not very funny, and he drank too much”. Matthew Dessem’s The Gag Man, an entertaining and revelatory study of the writer-director, does little to erase that image, but does examine how he came to “direct” some of silent cinema’s greatest comedies, and tells one heck of a Hollywood yarn. Bruckman was a journalist who entered the film industry as an intertitle writer, before becoming a “gagster”. The “gag men” would conceive visual jokes for silent comedies, working in groups, throwing ideas around, so it’s tricky to say who did what. However, Bruckman is credited with the brilliant concept for Buster Keaton’s The Playhouse (1921). The star had a broken ankle, which limited his usual acrobatic display. Bruckman sketched out an idea for creating laughs out of camera trickery instead of physical exertion. Thanks to deadly timing on behalf of cameraman and star, the multiple exposures work perfectly, including a triumphant sequence in which nine Keatons dance together. 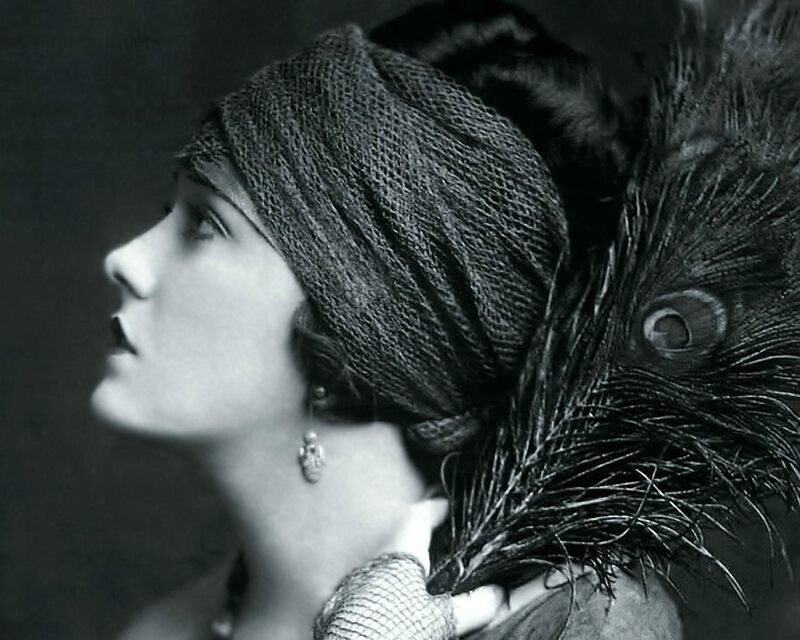 Gloria Swanson, film star and fully fledged fashionista. “To the feminine mind nothing appeals quite as strongly as clothing, hats, or shoes – in fact finery of any kind,” opined Moving Picture World in 1916. Gentlemen spectators apparently preferred films with fighting in them. On finishing this fascinating survey of how the fashion and film industries met and grew together in the early 20th century, I’m inclined to excuse MPW’s sweeping generalisation. Clothing, and fashion, are at the heart of everything that Hollywood has ever done. All film is spectacle, early film unambiguously so – and nothing epitomises the excesses of La-La Land more than the view of preening, primped movie stars lining up on the red carpet draped in borrowed couture and jewels. Baffling then, to remember that the first film actors were required to supply their own costumes. Turning up well-dressed to an studio (as the supremely stylish teenage Gloria Swanson did at Essanay) could secure you a chance at stardom. Even when studios had appointed a seamstress, numbers were so short that they would frequently be called upon to play roles on screen. In fact, Hollywood wardrobe departments would be staffed by many a former actress. 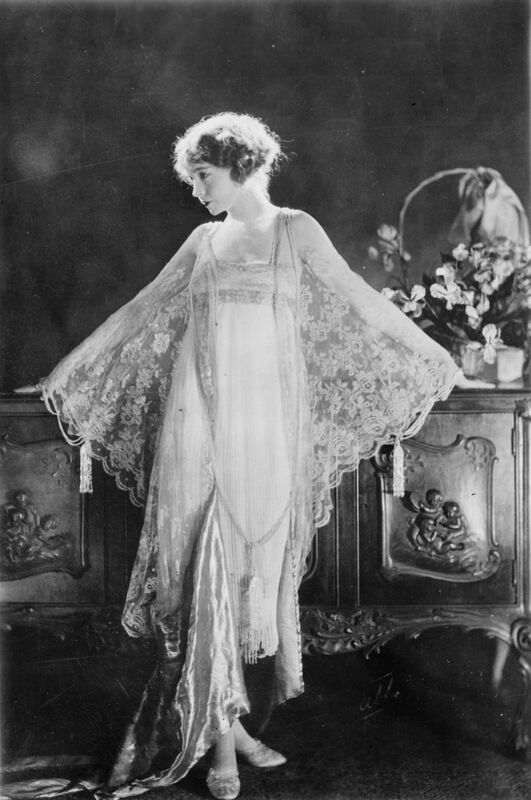 And because few people kept proper records of who did what in the early studios, it is the memories of stars such as Swanson and Lillian Gish that often provide the clearest picture of how the costumes were supplied, chosen and recycled in-house. To begin with, Michelle Tolini Finamore’s scholarly illustrated book examines fashion trends that made for great movie subject matter, from the exploited women working in sweatshops that churned out shirtwaists for America’s increasingly well-dressed urban working-class, to the extravagant picture hats that caused havoc in Nickelodeons, to the risque Paris styles that marked a lady out as a vamp. The idea that US fashions were practical and democratic and French ones outlandish and revealing kicks off a major theme in this book – the battle for fashion supremacy between first New York then LA with Paris.